How to Rip DVD on Mac OS X Lion? Apple's newest iteration of their desktop operating system is coming in July, but we've been playing around with the developer preview to see some of the new features coming to Mac OS X. 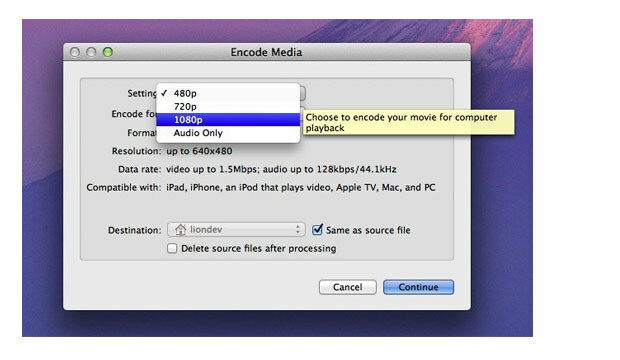 A number of interesting new features are being discovered, one of which is the inclusion of video encoding directly from the Finder. Simply control click on a video and users can then choose to encode it. There's also an option to encode a video into an audio only file, a nice feature that certainly has a niche. But as with all features in developer previews of OS X, these may or may not be present by the time Apple gets around to releasing the final version of the OS X update. Remember, it wasn't too long ago that a developer beta of iOS 4.3 included multi-touch gesture controls that Apple included merely for research purposes. It turns out, however, that there's a pretty easy way to Rip DVD to all sorts of video and audio formats on Mac OS X 10.7 Lion. This process requires a couple of things: first, that you've got a copy of OS X Lion, and second, you need to download and Launch iFunia DVD Ripper for Mac. If you are, this should be pretty easy. Just follow the steps below. Drag and drop the DVD disc image to the control pannal. Or click the Media Browser icon at the upper right corner and navigate to the files you want to add. Regular DVD movies usually have several subtitles such as English, French, German, etc. You can select the subtitle and audio track for your DVD video as you like. You can also selecting audio in the same way. Tips: You can edit your movies, like cropping, adding watermarks and effects with the built-in video editing tool in iFunia DVD Ripper for Mac. To crop your DVD videos, select "Enable Crop" and then you can change the crop area and aspect ratio for the output videos. You can select your desired output format from the output formats list in "Output Format" drop-down list. For example, if you want to watch DVD movies on your Mac OS X lion with QuickTime, you can select MOV format; if you want to watch DVD movies on your iPhone or iPod, you can select "Apple Software". Then go to "Destination" to set the output directory to save the converted files. You can also adjust other settings such as video/audio quality, Bitrates, aspect ratio, frame rate, video/audio resolution, etc. When the settings are done, click the button to start conversion. And then the OS X Lion DVD Ripper will automatically start to convert DVD to Mac OS X Lion. That's all. When the conversion finished, you can click "Open" to locate the file in your hard drive. If you don't want to wait around during the conversion, the smart program can switch off the Computer automatically when the conversion is done. 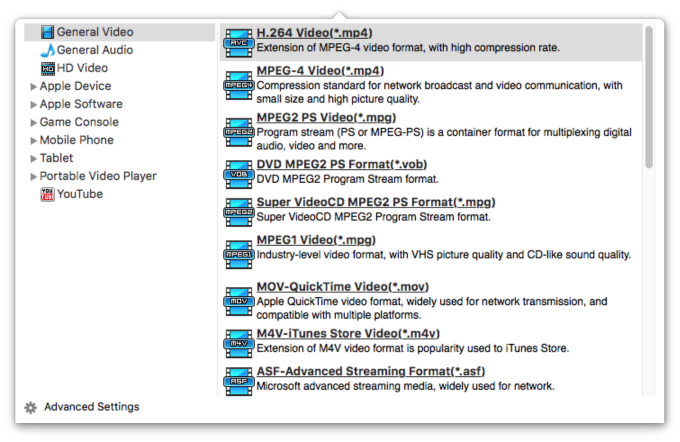 Now, you have already saved your DVDs on OS X Lion, and you can enjoy watching or editing them freely and easily.